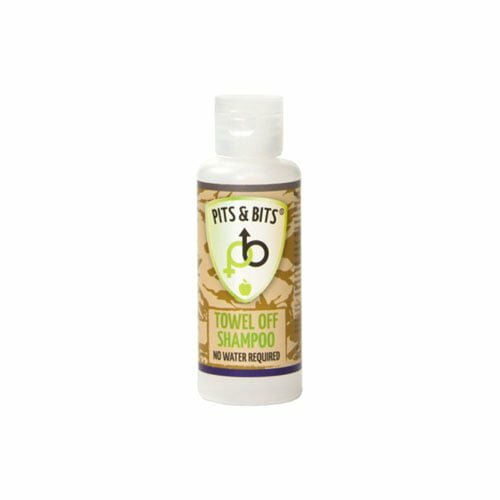 Pits & Bits Shampoo is the perfect way to wash your luscious locks away from home, whether you have been exercising, camping or just short of time. To use simply apply the shampoo directly to the scalp, massage to lift the dirt then remove by thoroughly towel drying! Removes even the dirtiest mud, sweat and grease!